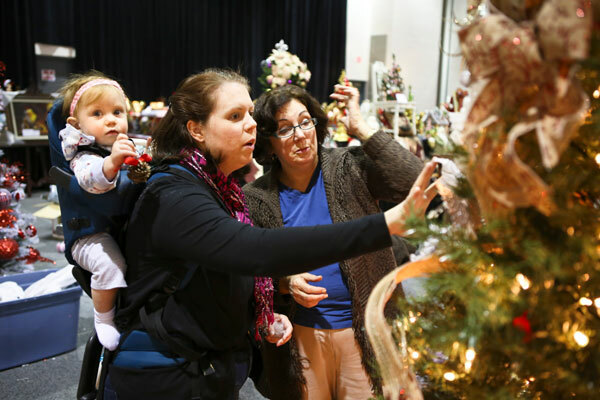 As you walk past the Angel’s Wings tree at the 33rd annual Holiday Tree Festival, the first thing you notice is the large, carefully-crafted angel wings at the top. But, if you stop to take a closer look, you notice a framed picture of a bright-eyed, dimple-checked little boy who serves as the tree’s inspiration. Angel’s Wings is one of those trees. The beautiful tree trimmed in gold and red features ribbons and bows, jingle bells, pinecones and stars with angel wing ornaments sprinkled throughout. The focal point of this peaceful-looking tree, though, is the gummy smile of Adam Bertram, son of Kenneth and Anna Bertram. His picture sits at the base of the tree and makes you realize this tree is something special. The tree is tastefully decorated thanks to the efforts of mom, dad, grandma and siblings. “I made the large angel wing topper out of coffee filters with my 6-year-old son, Ross,” added Bertram. 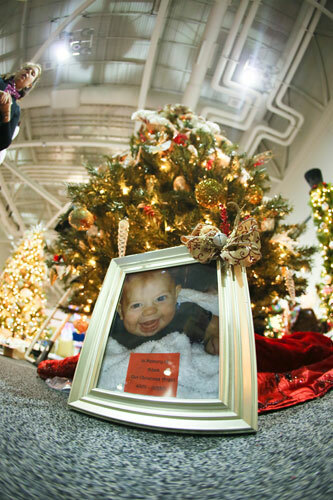 Little sister Molly, 1, who never got to meet her big brother, also helped decorate the tree by holding ornaments and flashing a smile to let mom know she got everything just right. As you walk away from this tree, you can feel the emotions of a proud family who will always remember the joy their little boy brought to their world. There are more trees like Adam’s that tell a story worth seeing at the 33rd annual Holiday Tree Festival, running now through Nov. 30 at the John S. Knight Center in Akron. Admission to the festival is free. For more information, click here.